Sen. Graham said he'll block Hagel’s confirmation hearings until outgoing Secretary of Defense Leon Panetta testifies on Benghazi attacks. United States Senator Lindsey Graham said he would block Chuck Hagel’s confirmation hearings for secretary of defense until outgoing Secretary Leon Panetta testifies regarding the Sept. 11 Benghazi terrorist attacks. Graham has been among the most vocal Republican lawmakers in calling for answers and accountability from the Obama administration regarding the Sept. 11, 2012 attacks on the U.S. embassy in Benghazi, Libya, which resulted in the death of four Americans, including U.S. ambassador Christopher Stevens. Pentagon spokesman George Little said Tuesday that Panetta would respond to the request, but did not know whether Panetta would agree to testify. 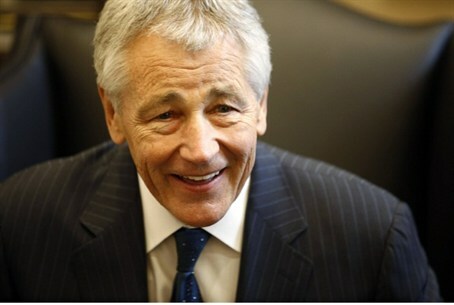 Little maintained, however, that keeping the confirmation process moving forward is “very important,” insisting that Hagel would do an “outstanding” job if confirmed for the post, Fox News reported. Hagel’s nomination process is scheduled to begin Thursday, creating apprehension among the Jewish, pro-Israel communities. The former Republican senator from Nebraska, nominated by President Obama to replace Defense Secretary Leon Panetta, is expected to face serious questions at the Senate confirmation hearings regarding his less-than-convincing statements of support for Israel and his stance on military action against Iran. Secretary of State Hillary Clinton testified before the Senate Foreign Relations Committee last Wednesday, saying she takes responsibility for the attacks and citing a "personal" commitment to improving security provisions for U.S. diplomatic missions overseas. "With all due respect, the fact is we had four dead Americans. Was it because of a protest, or was it because of guys out for a walk one night who decided they'd go kill some Americans? What difference at this point does it make?”, she said in response to a line of questioning from Sen. Ron Johnson, a Republican from Wisconsin.